We’re Best in 20 Seater Stretch Hummer Hire Sydney. With a fleet of luxury vehicles that are guaranteed to turn heads and get the party started. We offer the best packages Sydney and we are the only Limo Hire company to include professional catering, personalized DVDs, customized playlists and the most highly skilled drivers available. Our Prices are competitive & Cheap and our Limousines are fitted out with the latest cutting edge features to ensure you and your friends have the time of your lives! Humming in a Hummer defines luxury for your memorable rides with Hummer limo hire company. Our professional Limo and Hummer hire are designed to provide you with an all-inclusive package of fun, food, and lavish ride. We don’t believe in serving half and hence we bring the full range of services with super stretch luxurious cars with catering and personalized music. Our Hummer hire services in Sydney are not without expert drivers who will contribute to your fun and comfort with their careful driving to your destination. With our extremely sophisticated fleet of luxurious Hummer Limo, we are hard on making your arrivals mod and stylish. Just a single call to our Limo Hire Sydney and get all you to make your parties spectacular. Our Limousines and Hummers are fitted with high-end features to give a never before experience for your guests. Humming in a Hummer breaks the myth of costly luxuries. Choosing us means planning your pre-wedding parties or anniversaries, buck parties or wedding day arrivals without over the top expense. We are the most competitive and offer most attractive and lowest best packages for best hummer hire Sydney. Celebrate your special day in an extra special way by hiring our extraordinary luxury vehicle at budget prices. The treat is not without awesome hospitality packages that your guests will keep talking about for a long time. If you’re searching for a unique way to celebrate your girl birthday, formal, kids’ party, bucks or hens’ night, parties, anniversaries, airport transfers and Wedding in pink hummer limo then Humming in a Hummer has the answer. Don’t worry. We provide very nice deals and the most competitive price just for you! An exciting epic buck night waits for you at Humming in a Hummer. We are buck night party specialist for would-be brides and grooms. Bid adieu to your single life with a dash of style and unlimited sophistication. Our buck night limos and hummers give a grand start and finish to your once in a lifetime occasion. Hire Maserati in Sydney for a jaw-dropping style statement on your wedding day. We provide polite and expert drivers for the most pampered treatment on your big day. Our exclusive fleet of luxurious wedding special Maserati in stunning blue, pearl, shiny grey, and white leather colour with equally charming car upholsteries with lots of luxuries give you an ethereal feel. Hire a super stylish luxurious stretch of a pink limousine with pocket-friendly rent. Our pink limo offers spacious interior with incredible luxury features like optic lights and inbuilt music system. This sleek pink limo is a perfect way to add grandeur to your special wedding parties, kids parties, proms, hens parties, airport transportation, and other special occasions. Unlock your way to exclusive birthday parties in an enchanting thematically adorned cars. We have differently designed limos, hummers, and other super luxurious stretches to gift an extraordinary fun ride for your growing girls, boys, teenagers, and adults. Enjoy a high range of packages for partying and touring with your guests. Our super stretch hummer limos cover awesome package of an extra big party space on wheels. Our amazingly affordable plan offers catering, DVDs, personalized playlist, gift vouchers and much more. Explore all additional services right as per you and your guests need. Humming in a Hummer brings excellent hummers and limo hire services with efficient and friendly chauffeurs for best airport transfers in Sydney. Whether you are up to business flight or flying off for a honeymoon or other personal and corporate tips, we have cosy as well spacious super stretch limos and hummers to make your once in a lifetime trip memorable. The team at HIAH provided a first class service, for my recently organized child’s birthday experience. Had a great time for my son’s 21st with Humming in A Hummer, a great set of guys, thanks to Neville and Jason. 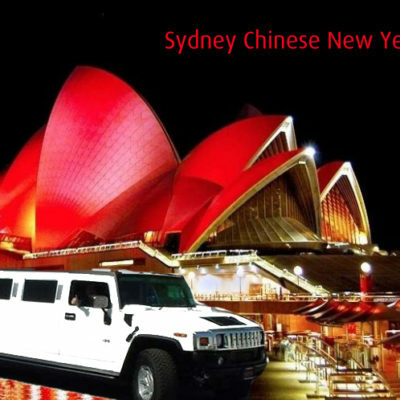 Sydney’s No.1 Hummer Limo Hire Company.. We Offers Best Hummer With Best Prices. We’re Best in Stretch Hummer Hire Sydney. 53 Porters Rd, Kenthurst Sydney, 2156, NSW, Australia.